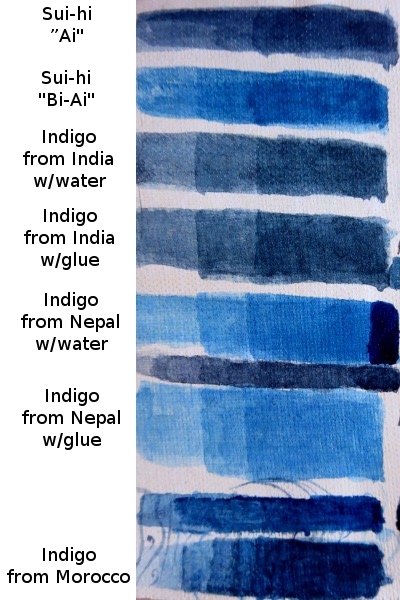 To try and see the tone of the Indigo I've received from Morocco, Here is the color comparison of different Indigos. Painted with more layer from right to left. 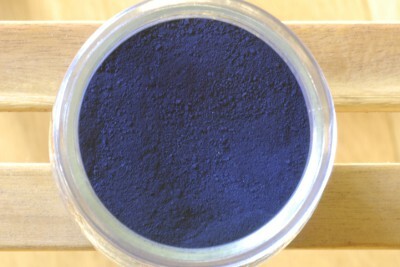 Sui-hi is dyed mud pigment from Japan. "w/water" indicates that the pigment is mixed only with water and "w/glue" indicates it's mixed with glue solution. This is to check the fixation strength. 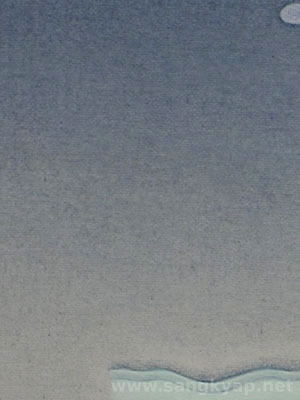 We can see that the Moroccan Indigo is a little brighter compare to Sui-hi "Ai" and much brighter than Indian one. And not as bright as Nepali one(this is synthetic Indigo). 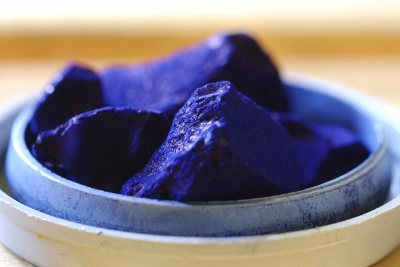 About syinthtic Indigo, I've heard once from a pigment shop in Japan that there is not big differrence between natural and synthetic Indigo. Even the chemical composition of those two are same(or very similar).